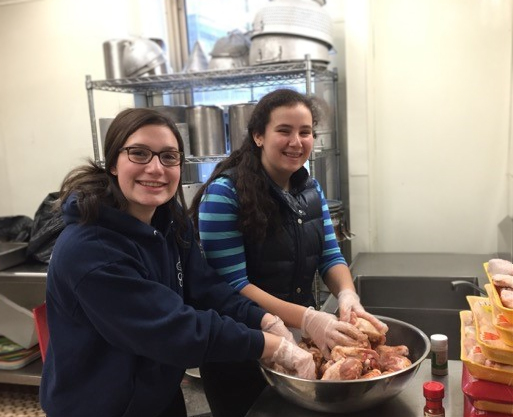 Several Sundays a year, volunteers from Temple Sinai shop, cook, and serve dinner to the residents at the shelter. It is a great opportunity for a bar or bat mitzvah student (or any youngster 12+), and/or an adult (or two), to provide meaningful and needed help in the community. All the instructions you need are provided, and the Temple Sinai Sisterhood reimburses you for the groceries you purchase. All you need to provide is the elbow grease and a smile. Volunteers serve on selected Sundays from 2-5:00 p.m.